Welcome to Bousfield Projects and McCombie & Bousfield Building Contractors. 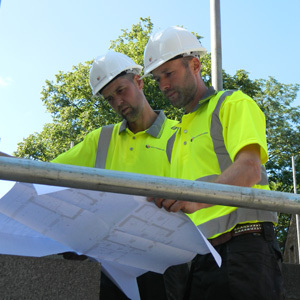 We provide clients with access to a complete range of building, construction and project management services in Cumbria. Whatever the size of the project from the production of a budget cost, to the unique opportunity to have your dream home managed from conception to completion. We have over thirty years experience in the construction and building trade, we offer the professionalism of a large major construction company with the commitment and warmth of a family run building firm. We are based in Cumbria’s Eden Valley and work with a variety of carefully selected skilled trades and craftsmen to deliver your construction projects on time, on budget and to the highest standard with attention to detail. We’ve worked on a variety of building projects from small scale home extensions to large commercial developments and everything in between. So if you are looking for impartial advice to discuss your ideas to start your construction project or need a hands-on building company to get the job done, then visit our “contact us” page or give us a call on 01768 889 149.